Find fun activity ideas for your Jewish residents for the upcoming Jewish holidays, including Chanukah, Tu B'Shevat, and Purim. Chanukah (also spelled Hanukkah) is the Festival of Lights that is an eight-day celebration to commemorate the rededication of the Second Temple in Jerusalem. Customs of Chanukah include the lighting of the menorah, preparing foods in oil like latkes (potato pancakes) and sufganiyot (jelly doughnuts), singing blessings, and playing games. This year Chanukah begins at sundown on Sunday, December 2 and lasts until sundown on Monday, December 10. Make latkes (potato pancakes) or sufganiyot (jelly doughnuts). Play the Dreidel game (spinning top game) with the grandkids. 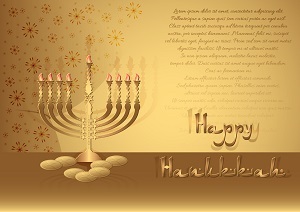 Make Chanukah cards to send to family members. 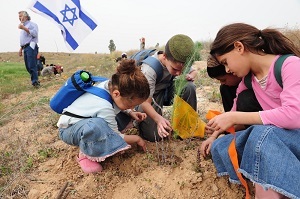 Tu B'Shevat is the New Year for Trees that recognizes this time of year that trees begin to bloom in Israel. Traditionally, observers would increase their intake of fruit on this day. This year Tu B'Shevat begins at sundown on Sunday, January 20 and lasts until sundown on Monday, January 21. Plant a small tree in your facility's yard. Plan activities that involve eating fruit, like a Fruit Tasting of figs, pomegranates, dates, and olives. Assemble bird feeders to hang on your backyard trees. 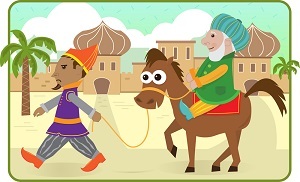 Purim, which commemorates the deliverance of the Jews from Haman that was recorded in the Megillah (book of Esther), is a joyous festival celebrated each year in late winter or early spring. Customs of Purim include reading the Megillah (book of Esther) and encouraging kids to dress-up in costumes. This year Purim begins at sundown on Wednesday, March 20 and lasts until sundown on Thursday, March 21. A hamantaschen is a 3-cornered cookie filled with poppy (yuck) or other sweet, fruit filling. A favorite of my girlfriend's daughter is to fill hers with strawberry or cherry preserves AND chocolate chips. You can fill them with pretty much anything (and I have found some wild recipes). It is customary on the night before (March 11th) and on the day of Purim (March 12th) to read the Megillah, also known as the book of Esther. Anytime Haman's name is mentioned, listeners make noise with groggers (noisemakers), stomp their feet, and clap their hands - anything that can drown out his name. Read the Megillah (book of Esther). We have a member of a local synagogue come by and read the Megillah for our Jewish residents. Make Mishlaoch Manot baskets (baskets of at least two different foods that can be eaten immediately). Popular items for the basket include hamantaschen, fresh fruit, nuts, chocolate, dried fruit, candies, and baked goods. Drinks are also good things to include, such as juice, sparkling cider, and wine.